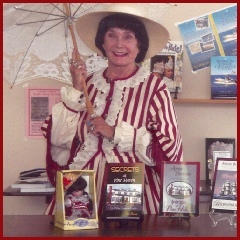 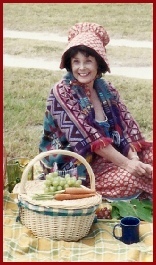 Anne shares her love of Southern history through speaking engagements at schools, libraries, etc. 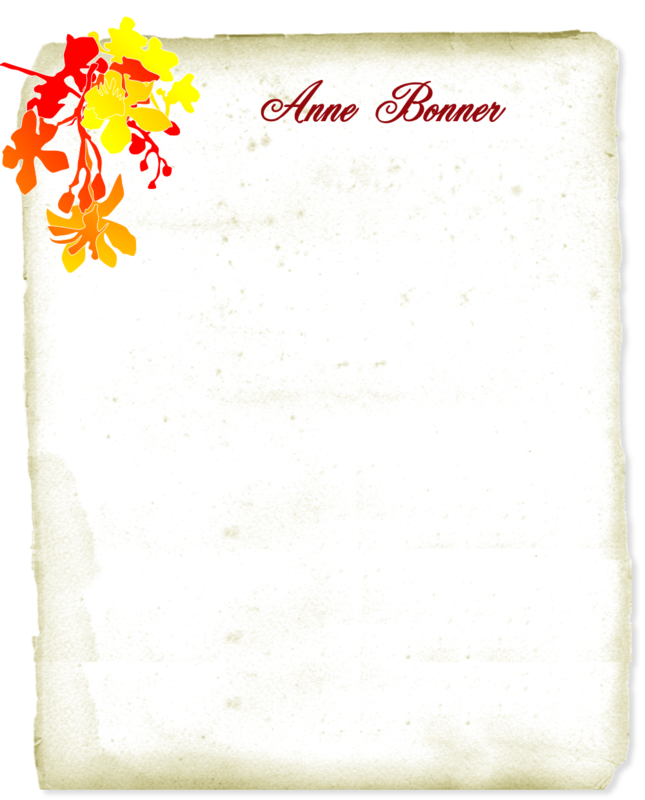 Write her using the form below or email her at anne@annebonner.com regarding an appearance or just to tell her how you enjoyed her books or poetry. 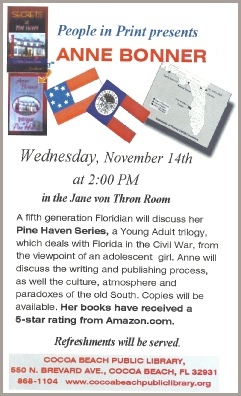 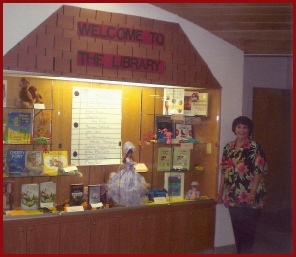 at the Satellite Beach Library.